Which Laser Rejuvenation Treatment is Right For Me? The condition of our skin can reveal our age in ways we may not like. Sun exposure, aging, and inadequate skin care can cause fine lines and wrinkles to develop on various regions of the face. 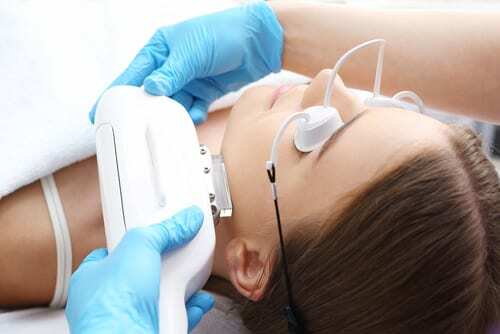 The use of laser light energy has become a hugely popular method for patients wanting to treat facial imperfections. At The Diamond Face Institute, we offer a variety of non-surgical laser rejuvenation treatments to help you achieve your beauty ideals with minimal downtime. While there are many treatments to choose from, the condition of your skin will determine the method that will best benefit your skin. As we age, our skin tends to lose volume and firmness. Many people struggle with facial imperfections like wrinkles, sun spots, acne scars, and fine lines. Our laser resurfacing treatments can smooth the skin and improve texture to restore a healthy and youthful glow. BodyFX™ is a non-invasive body shaping and cellulite treatment that serves as an alternative to liposuction. Using a combination of deep tissue heating, radiofrequency energy, and suction coupled with negative pressure, BodyFX™ beautifully contours the body. This treatment is often performed on areas such as the medial and lateral thighs, muffin top, underarms, abdomen, back, and buttocks. Forma™ is a skin tightening treatment that relies on radiofrequency technology. It is an excellent treatment for patients with noticeable skin laxity or textural irregularities in the face and neck. Forma™ is also optimal for postoperative patients who wish to maintain the results of a previous surgery. BodyTite™ is a minimally invasive form of liposuction that uses radio-frequency assisted lipoplasty (RFAL) to reduce fat by shaping, tightening, and lifting the skin. Patients who have stubborn fat and need a bit of body sculpting will benefit most from this procedure. This treatment can be performed on any part of the body, including the arms, chest, abdomen, inner and outer thighs, and knees. FaceTite™ uses RFAL to improve skin laxity on the face and neck by melting fat and tightening the skin. Those with deep lines, loose skin, a double chin, or jowls will benefit the most from this procedure. 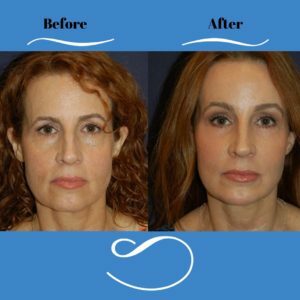 Patients receive similar results to those of facelift surgery but with less downtime and no scarring. To learn more about laser rejuvenation and how to enhance your facial appearance, please call Dr. Diamond’s office at (310) 859-9816 or set up a consultation with us online today!